Borrowing from your IRA might work if you need the money for less than 60 days, but for longer time frames, you'll pay IRS penalties and taxes that make this strategy expensive. The IRS doesn’t allow borrowing from an IRA, so you’ll have to be creative about how you take and replace dollars. You also need to consider that your IRA might include investments that incur fees when sold, or that financial markets might spike while your money's outside the IRA, causing you to miss additional gains. Although you need to be careful, and it isn't easy, borrowing from your IRA is possible. 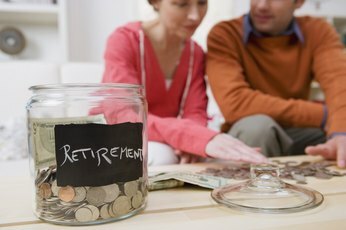 Understand the rules of IRA withdrawal. Unless you qualify for an exception, you have 60 days to move funds from one IRA to another. Legally, the IRS will call your distribution a rollover, even if you don’t change IRAs. If you miss the 60-day deadline, you’ll pay tax on the distributions and, if you’re under age 59 1/2, incur a 10 percent penalty on the funds withdrawn. See if you qualify for one of the exceptions. If you’re using funds for school costs for yourself, your spouse, children or grandkids -- and the school meets IRS qualifications -- you won’t pay any penalty to access IRA dollars. There's also no penalty on the first $10,000 of a first-time home purchase, payment of large unreimbursed medical expenses, medical insurance premiums while unemployed, or payments because of a total and permanent disability. Sell your investment. Call the firm managing your IRA and request a sale of the funds internally. This will move your money to cash first, and won't start the 60-day window. In some cases you won't be able to do this; the funds will come directly to you, starting the timer on your 60 days. Take your money out of the IRA. Your IRA account representative will ask how much you'd like to withhold for taxes. Because you’re going to place money back into your account, ask for no withholding and make sure your IRA management company knows to treat this as a qualified IRS rollover. If for some reason dollars are withheld, you’ll need to come up with funds to replace the withheld amount, or you’ll pay taxes on that amount, plus a 10 percent penalty, if you’re under 59 ½. Replace the funds within 60 days. Return the funds to your IRA quickly, because the day after you receive the check counts as the first day of your 60-day limit, and ends on the day your money is placed back into the account. If you go over 60 days, the IRS doesn’t consider excuses. You’re going to pay taxes, and possibly penalties, at tax time. 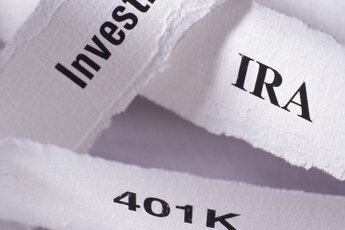 Can I Close an IRA Account Without Penalty? 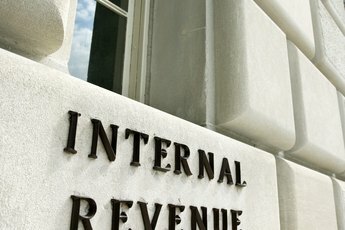 Can I Put Money Back into an IRA and Not Pay Taxes on It? Can You Roll Over an IRA Into a Non-Taxable Annuity? Can I Borrow Money From an IRA and Put It Back Next Month?